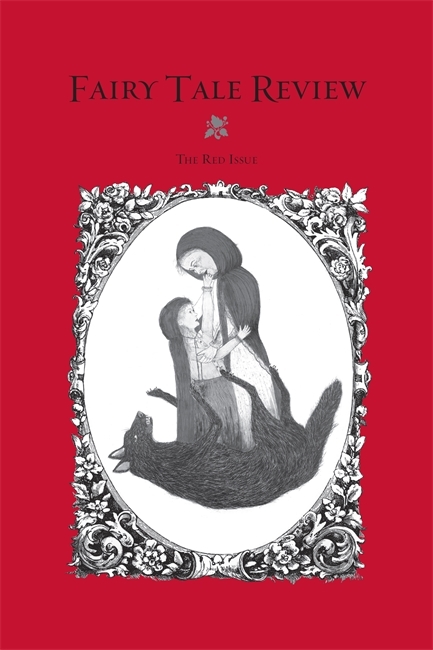 Like all fairy tales, the story of Little Red gets strength from its multitudes. It is a moving hive, a travelling pack of translations and interpretations too numerous to catalogue. It manages to examine our most salient tropes in binaries, and the equators formed in this contrast are tangential contradictions: The tale is at once innocent and sexual. It mingles the vulnerable with the predatory, and overlaps captivity with freedom. It is both fable and fairy tale, and a horror story to boot: a naïve individual walking into a den of trickery. Then comes that eerie, parsed-out realization when our girl comes to terms with what the readers have known all along: things are not as they seem. What a fright, when something categorized as safe becomes compromised and inverted, when the familiar is replaced with the unknown. In this issue, we add new footprints to the path through the woods. Some of these pieces retell the tale; others explore its place in our minds and our culture. Kate Bernheimer has been called "one of the living masters of the fairy tale" (Tin House). She is the author of a novel trilogy and the story collections Horse, Flower, Bird and How a Mother Weaned Her Girl from Fairy Tales, and the editor of four anthologies, including the World Fantasy Award winning and bestselling My Mother She Killed Me, My Father He Ate Me: Forty New Fairy Tales and xo Orpheus: 50 New Myths. She is an Associate Professor of English at the University of Arizona in Tucson, where she teaches fairy tales and creative writing.